In the election season that ended last Tuesday, it may not always have been clear what candidates stood for, but it sure was easy to tell what they were against. Conservatives hammered away at the fact that their opponents were Democrats, just like the unpopular president. In Massachusetts, whole attack ads were conjured out of ominous repetitions of “Republican” next to Charlie Baker’s picture. As politics in America continue to grow more negative and more polarized, the words “Democrat” and “Republican” have practically become slurs. This clearly reflects the feelings of voters: Record numbers of them—49 percent of the red team and 33 percent of the blue—said in one survey that they would be unhappy if their son or daughter married someone from the other side. Back in 1960, those numbers were 5 and 4 percent, respectively, which tells you just about everything you need to know about how much more deeply divided we are today. It wasn’t always this way. The last time America was as politically polarized along party lines as it is now, the clash was fueled by genuine excitement about the parties. 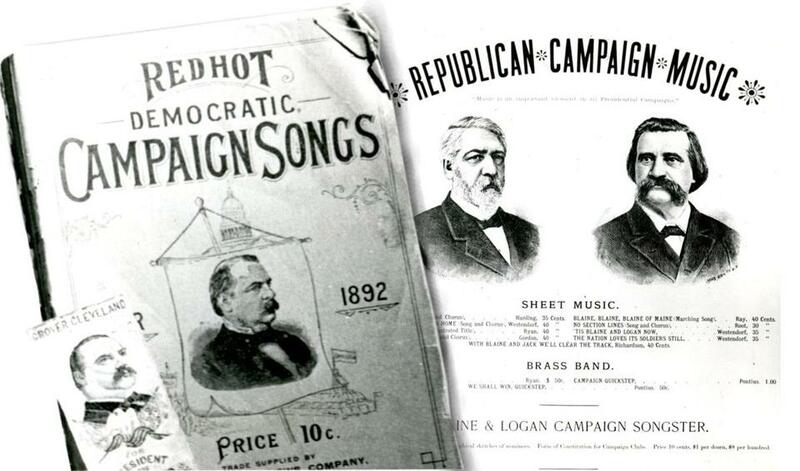 Starting roughly in the 1830s and ending around the turn of the 20th century, being a Democrat, a Republican, or a Whig was a huge component of one’s public identity. The “party period,” as it has come to be known among historians, was marked by rowdy and emotional parades and celebrations where people trumpeted their party affiliations the way sports fans today trumpet their allegiance to their favorite teams. The absence of that spirit today says a great deal about how politics has changed. The two parties have increasingly distinguished themselves along clear ideological lines, which means fewer Americans see their own set of beliefs reflected exactly by either one. And in an era when neither party seems capable of accomplishing its goals, Americans are reluctant to embrace either team while growing ever more enraged at the people they believe are responsible for gridlock. But if the rejection of party identity is understandable—and might even seem like an appropriate response to today’s acid political culture—it also comes with costs. More than they have for generations, the Democrats and the Republicans actually stand for truly distinct ideas about how to govern. The conflict between them isn’t just a power struggle, but a serious battle over what kind of country we want. And according to some experts, the fact that so many Americans don’t passionately or proudly identify with either side—even if they do hold the other in extreme contempt—contributes to a political culture in which neither party enjoys enough loyalty to govern effectively. To look back at the positive partisanship of the 19th century is to wonder how much less toxic and gridlocked our system might be today if, instead of merely loathing the party we liked less, we could channel our polarization into fervent enthusiasm for the one we liked more. Today, we might see this kind of us-versus-them division as destructive. In another sense, though, the democracy was astonishingly vibrant: Turnout rates among eligible voters reached levels they haven’t approached since. Over time, that enthusiasm cooled. Politics became less local and more national, and the patronage system that fueled the party machines of the 19th century weakened. In time, the “independent” label lost its shame. When the Progressive movement took hold at the end of the 1800s, promising a new kind of politics, being an independent started to be seen as a point of pride—an indication that you formed your opinions using reason, rather than taking your cues from those around you. Today, the political system is drastically different. We choose candidates by voting in messy, hard-fought primaries, rather than trusting party bosses to hash out the ticket in back-room negotiations. Where parties used to be “big tents,” with conservatives and liberals populating both sides of the aisle, they’ve become much more ideologically narrow, leaving out wide swaths of centrist voters. 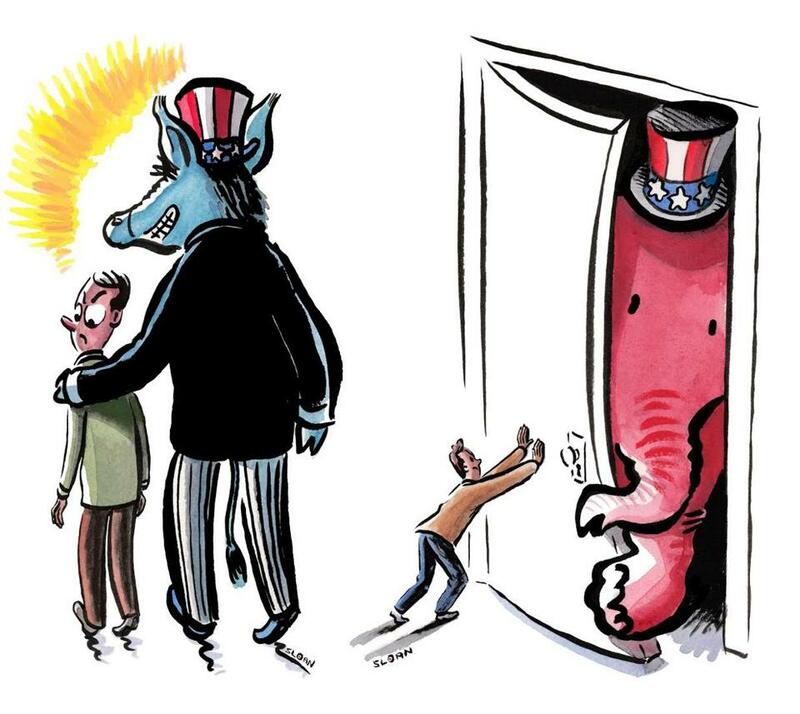 Decades of negative campaigning have left each party tarred with epithets: Voters have to choose between being a tax-and-spend liberal or a fat-cat Republican. The two-party system itself is widely seen as fundamentally flawed, and being a diehard partisan has few positive connotations—to the point where our political leaders themselves, though clearly and openly aligned with a party, don’t make much of their affiliation. “In this country, politics is not about party anymore,” said Bruce Newman, editor of the Journal of Political Marketing and a professor at DePaul University. Somewhat counterintuitively, Muirhead believes that if we had more patient and seriously engaged partisans, there’s a chance we could chip away at the political polarization expressed in those findings about people not wanting their kids to marry outside their party. • Does money buy better politicians? • The Internationalist: How can America really promote democracy abroad?